With rolling green hills, wind-swept plateaus and ancient stone chapels, this ninety-kilometre (fifty-six-mile) section of the GR 65 Chemin de Saint-Jacques from Le-Puy-en-Velay to Aumont-Aubrac delivers everything you could imagine a long-distance walk through quintessential French countryside will bring. Read on for practical tips, map, highlights and two suggested itineraries. Easily covered in five days (and very achievable in four), this is the perfect path for less experienced long-distance walkers to gain confidence and prepare for a longer walk. 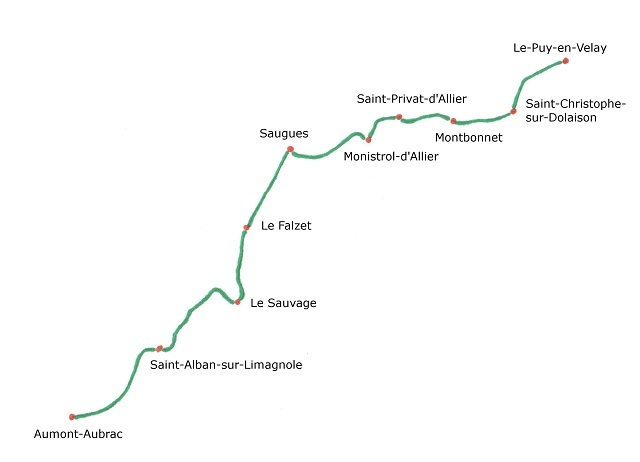 Although there are some challenging hills to climb and a gorge to cross in the first two days, the Chemin de Saint-Jacques takes a mostly gentle route along quiet country roads and well-maintained gravel paths, passing through tiny hamlets and villages consisting of little more than a handful of houses and farm buildings. The upside of this wonderful sense of peace and tranquility is that the ‘real world’ seems a million miles away. The downside is there is often a long way between pharmacies and ATMs—but nothing a little preparation see you through. If you are not an experienced long-distance walker, this is the perfect walk to cut your teeth on. Many first-time walkers are concerned about becoming lost or injured far from town, but there will be lots of other walkers about to keep you company and who will come to your aid if you find yourself stranded along the way. This section is also well supported with a daily bus service should you need a break from walking. Of course, this is just the beginning of a path that continues another 1,400 kilometres (900 miles) through France and across Spain to Santiago, so when you fall in love with the exhilaration and sense of achievement that long-distance walking brings—as I know you will—prepare to devote a bit more vacation time to this glorious pursuit! 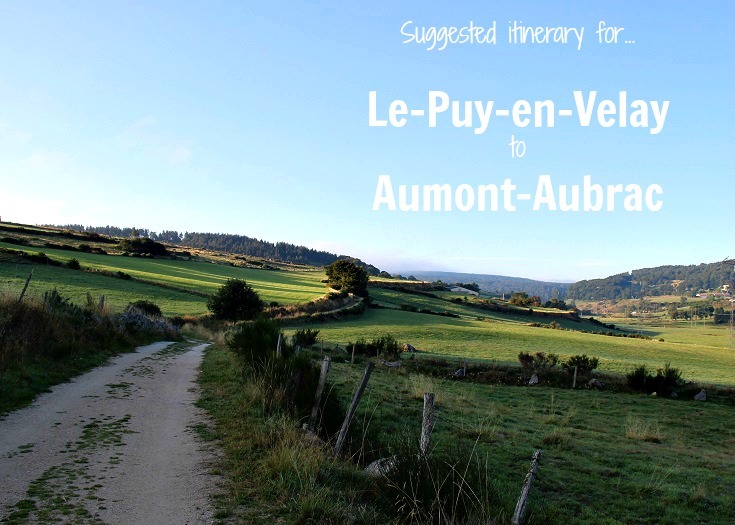 Take a day before you start walking to explore Le-Puy-en-Velay. 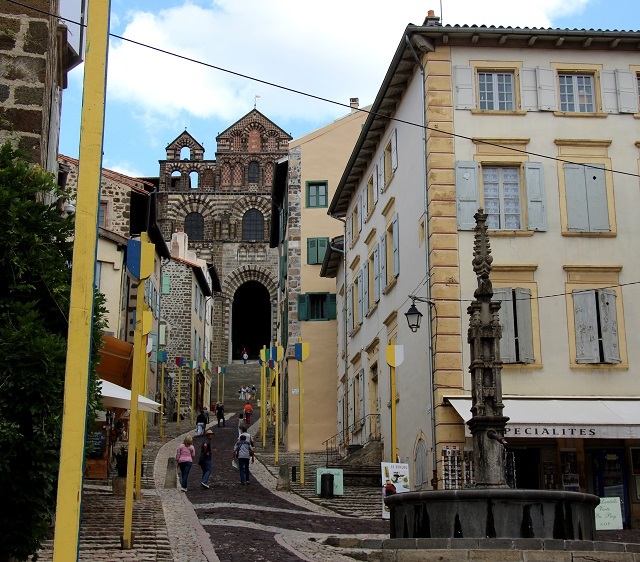 There are many charming corners to discover here, from the twelfth century Cathédrale Notre-Dame du Puy, with its adjoining cloister, to a tiny chapel which has stood high on top of Rocher Saint-Michel d’Aiguilhe since 961 AD. Saturday morning is market day in the heart of this historic town, and is the perfect opportunity to gather some trail mix—locally-grown dried or fresh fruits, nuts, olives and perhaps some homemade sausage. 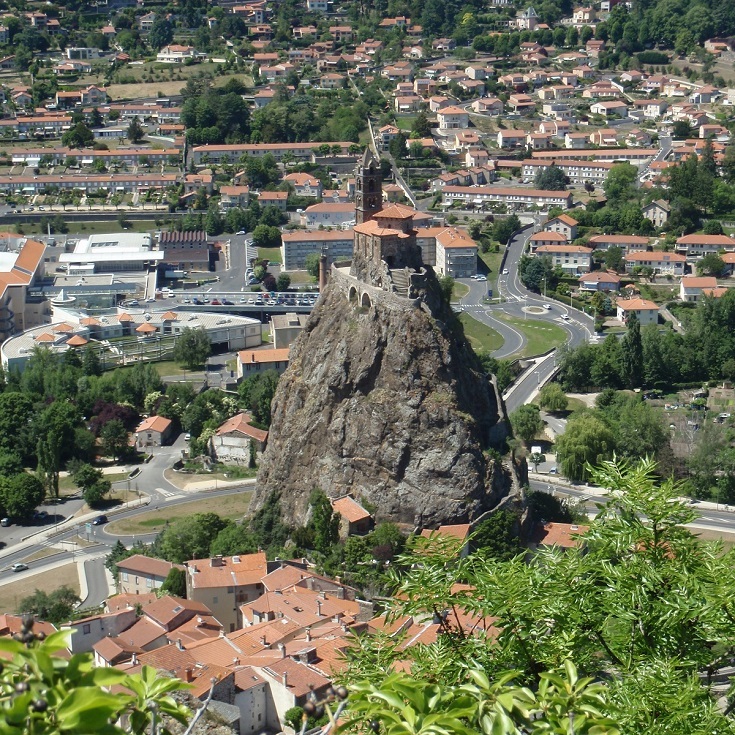 Le-Puy-en-Velay has been catering to travellers along the Chemin de Saint-Jacques since the tenth century, when Bishop Gothescale returned from the first recorded pilgrimage. Today, walkers are well looked after by Les Amis de Saint-Jacques (Friends of Saint-Jacques) who host a gathering each afternoon in the Camino Café. Here, you’ll meet other walkers preparing to set out, share a glass of Verveine (the local aperitif) and have all your last-minute questions answered. A mile or so before reaching the village of Montbonnet, the Chemin de Saint-Jacques passes a small chapel. Dating from the tenth century, the chapel is dedicated to Saint-Roch, a doctor from Montpelier who contracted the plague on a pilgrimage to Rome. Legend tells us that after retreating to the forest to die, he was befriended by a dog who fed him from his owner’s table. Roch recovered and returned to Montpelier. There, he was arrested as a spy and died in prison five years later. 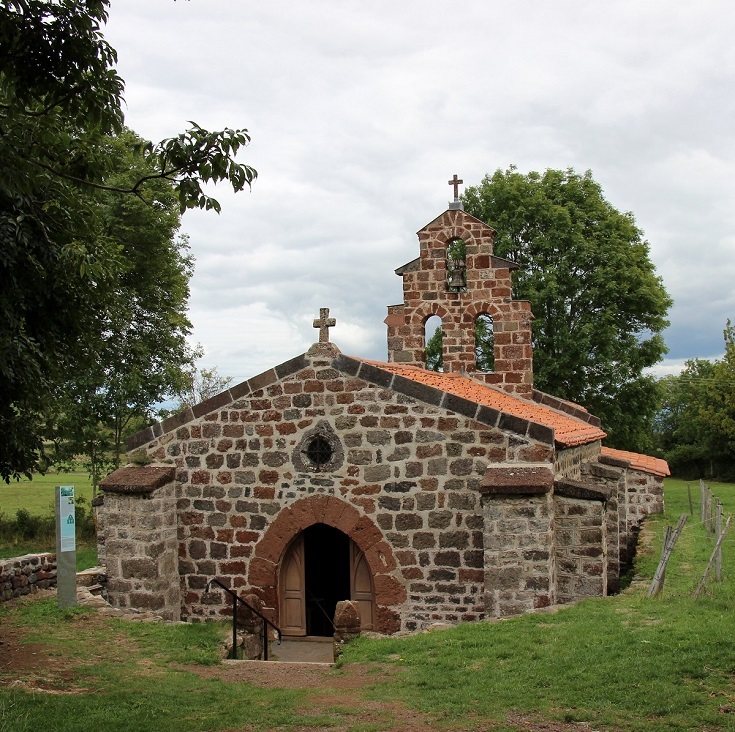 Roch became the patron saint of pilgrims—and dogs—and this is the first of many Chapelle Saint-Rochs that you will pass along the Chemin de Saint-Jacques. Many people, especially those continuing along the Chemin de Saint-Jacques to Figeac or beyond, complete this section of the GR 65 in four days. 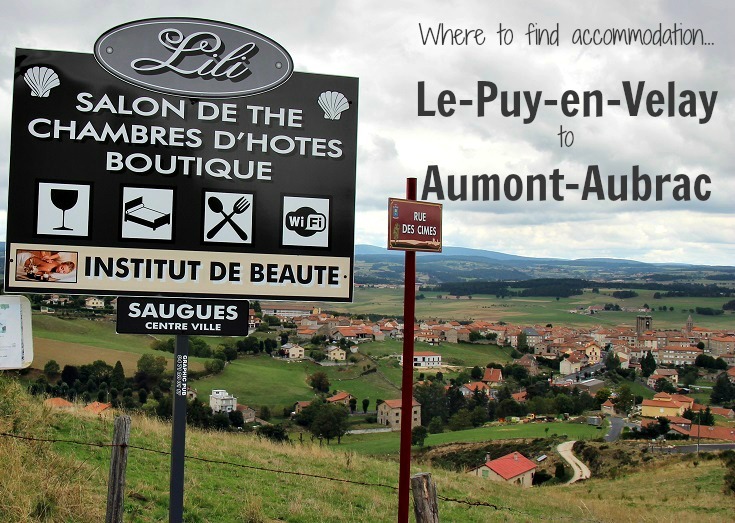 This is certainly an achievable schedule but it does require a couple of long days and, often, another long day straight after your walk, from Aumont-Aubrac to Nasbinals. 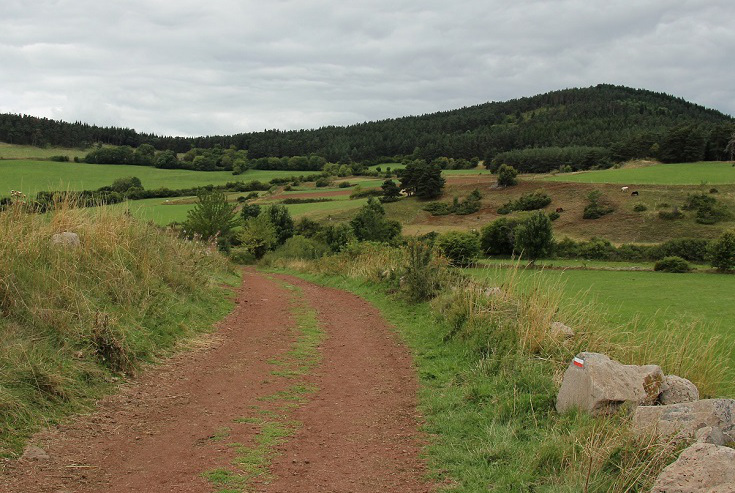 Because the first thirty-five kilometres (twenty-two miles) from Le-Puy-en-Velay to Montaure (just past Monistrol-d’Allier) include some strenuous climbing, I prefer to take it at a slower pace and make my daily walks a little shorter. You may find that your overnight stops are in the smaller villages, with few or no services, and so you will need to make sure you visit the ATM and the pharmacy, if necessary, as you pass through Saugues in the middle of the third day and always have enough trail mix for two or three days. This schedule will also allow you to spend an hour or two visiting the museum and climbing the tower in Saugues if you choose. 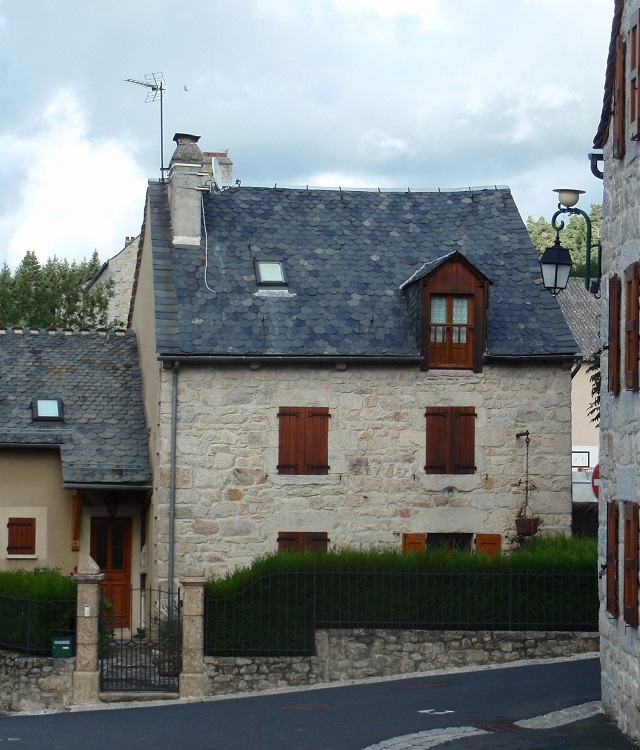 Accommodation is available along the way at intervals to suit most walkers with the longest section, from Monistrol-d’Allier to Saugues, requiring a walk of twelve kilometres (7.5 miles). My suggested itinerary recommends spreading this ninety-kilometre (56-mile) section over five days which will allow you time to build your stamina (and toughen up those feet) slowly—especially if you are planning to continue along the entire 1,522 kilometre (950 mile) route. There is an itinerary to suit every time frame and dodgy knee. Many of the walkers I met planned to complete this section in four days—and one spritely lady in her eighties was allowing herself a week! 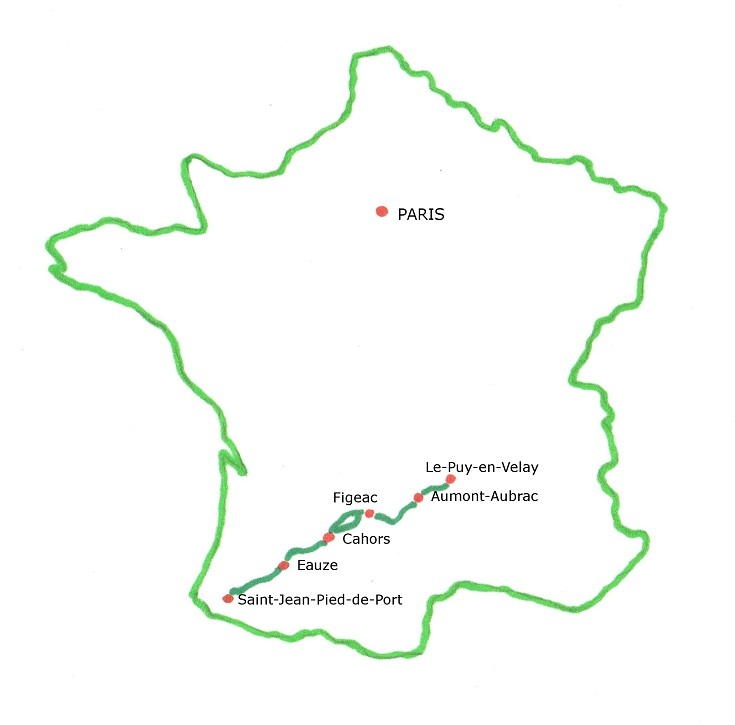 Accommodation is available in the following villages, with distances given from the starting point of Le-Puy-en-Velay. 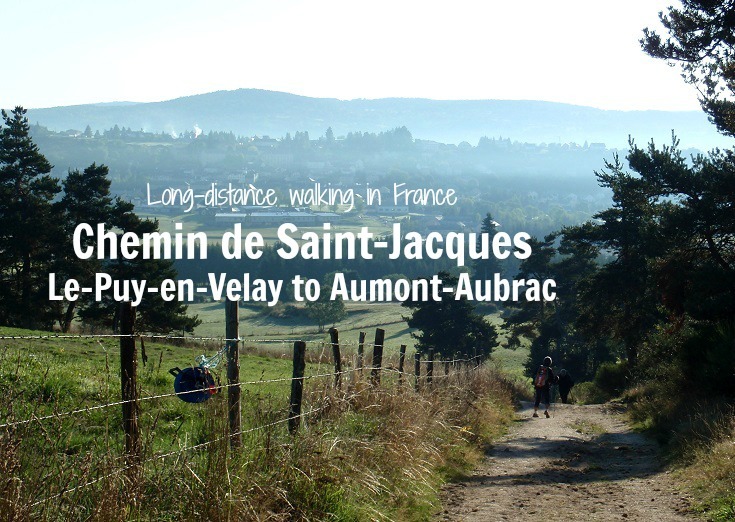 Ready to plan your walk along the Chemin de Saint-Jacques du-Puy? 76 pages packed with dozens of photos, links to accommodation websites and train and bus schedules, Tourist Offices, market days, taxi phone numbers, where to find a pharmacy or an ATM, useful French phrases—and many more practical tips!